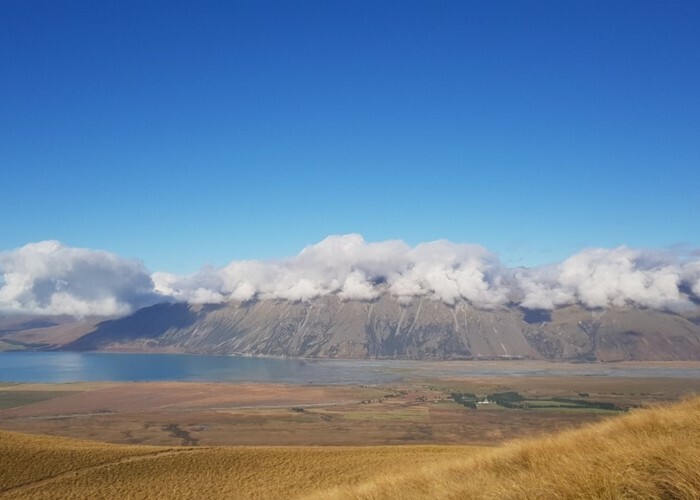 As we climbed up toward Stag Saddle,the cloud spilling over the Hall Range & Haszard Ridge looked delightful.Lake Tekapo out of shot but the Godley River/Macaulay R confluence in view. Added 11 February 2019 by lewshawlewshaw. No revisions.